Ever since the original title was released for the Game Boy way back in 1996, trainers have been yearning for the day that Pokemon would carry over more into the real world. With the help if Ingress developer, Niantic Labs, that day has finally arrived. Pokemon Go functions through augmented reality and uses a mobile device's camera to place 3D representations of the Pokemon in front of players. Pokemon are scattered throughout the world and the best way to capture them is to actually go outside, walk about, and look for them. On your map, there is a list of nearby Pokemon and a representation of how close they are. There are also spots of moving grass that make it easy to spot their location. Otherwise, randomly walking around seems to spawn them. To aid with this, players can also use an item called incense to draw Pokemon to them for 30 minutes. Additionally, players can put a lure on a Pokestop to draw the critters to it. The long and short is that there are tons of ways to get the little guys. Pokemon Go uses the maps and locations from Ingress. The locations are usually notable landmarks which serve as Pokestops for players to collect new items and Pokeballs. Stops reset every five minutes. So, where you live plays a large role in the kinds of Pokemon you'll see and how many stops/gyms there are. Large cities like Chicago are littered with them, while towns with a population 10k and under require more effort. Aside from capturing Pokemon, the gym battles are the biggest draw. After all, that's why we train. Much like Pokestops, gyms are placed at notable locations. After hitting level five, players must choose a team to represent. There are three present: Mystic, Valor, and Instinct (Mystic for life). The gyms will be lit up with the color of the team currently in control. Aside from the gym leader, there will be other opponents to face inside the gym. Battles can be fought solo or with friends. With friends, it's a gang up on the sole defending Pokemon. By repeatedly battling the gym, trainers lower the defense until they can claim it for themselves. Battles don't play out like the other titles in the series and instead play more like Infinity Blade. Tapping the screen attacks, swiping dodges, and holding your tap unleashes a special attack. It's all incredibly fast paced and a load of fun with friends. As of right now, there is no way to trade Pokemon with friends or to battle them. 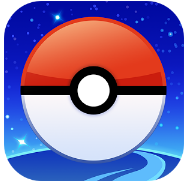 However, Niantic has hinted that new features will be implemented in the future. Because there are no traditional battles, leveling up Pokemon and evolving them is handled differently. Every Pokemon caught has a random Combat Power ranking assigned to it. 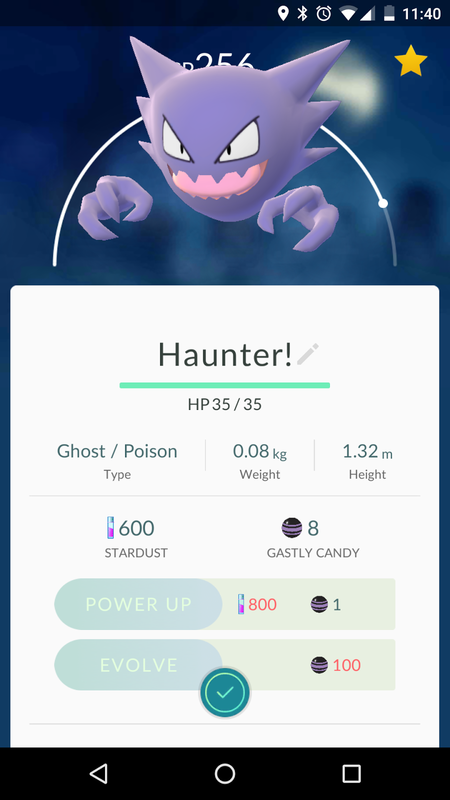 This can be increased by using Pokemon specific candy and stardust on it. Stardust and candy are both obtained by capturing Pokemon. Additionally, sending any Pokemon back to the Professor will net you the candy of its type. It's all about encouraging players to keep capturing more Pokemon. The character customization is lackluster as there are only a few options for boys and girls. The AR can be tricky at times and reportedly is influenced by the model of phone. With my Nexus 5X, the AR is laggy and can freeze the screen. Fortunately, there is an option to turn it off which replaces the backgrounds with lovely painted scenery. Speaking of lag and freezing, the Niantic servers are being hammered right now due to the sheer number of people trying to play at once. I can't think of any major game launch that hasn't had similar issues and I have faith that it will get better. That being said, don't be shocked to see that you can't log in because the servers are down. I can't recommend Pokemon Go enough. Even though it's not optimal for playing in the bathroom, it's a fresh idea with a healthy dose of nostalgia thrown in. So get outside, meet some new people, and catch em' all.